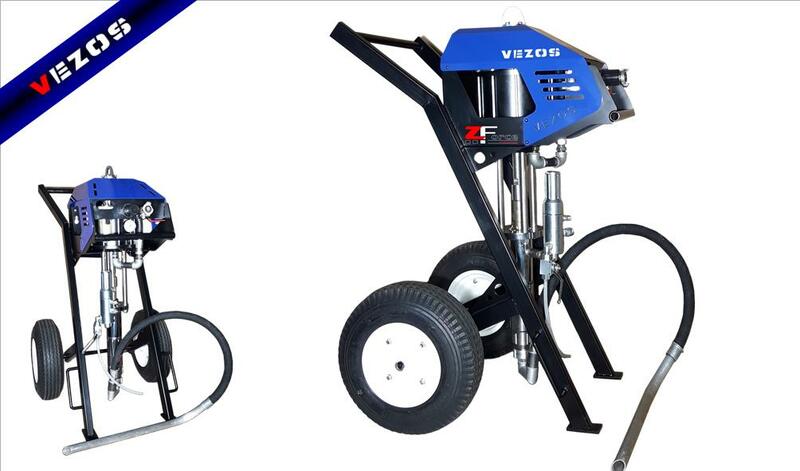 Z-FORCE range proves that a VEZOS pump is the best solution to any industry. Z-Force airless air operated pumps, have been designed for tough & high production applications.Equipped with VEZOS FX slow stroke extra long pump, able to handle high viscosity materials with high production rates.Available as a wall mounted set-up,including the industrial painting zone in its portfolio of clients.Includes: removable suction hose, quick release system - no tools required is a standard feature on all models.Covers a wide range of industrial paint material in various working pressure and flow delivery. 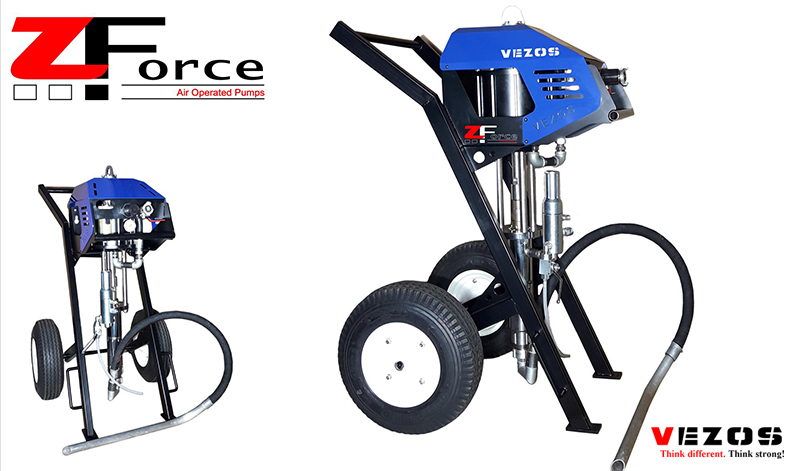 VEZOS Z-FORCE air operated pumps, ensure continuous & stable material flow, under high pressure, with an easy maintenance system & worldwide availability of spares and service packs. 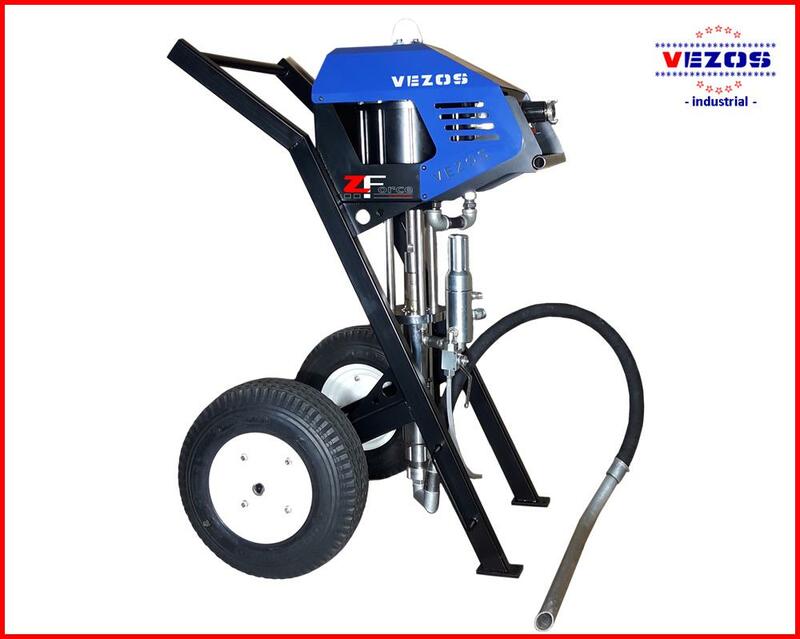 Z-FORCE covers a wide range of industrial paint material in various working pressure and flow delivery.